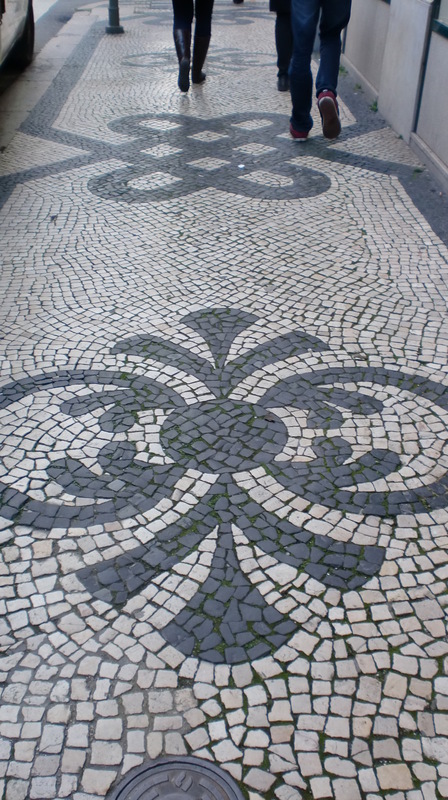 Often, the idea to make the world a better place to live in, makes us think of great and revolutionary ideas. 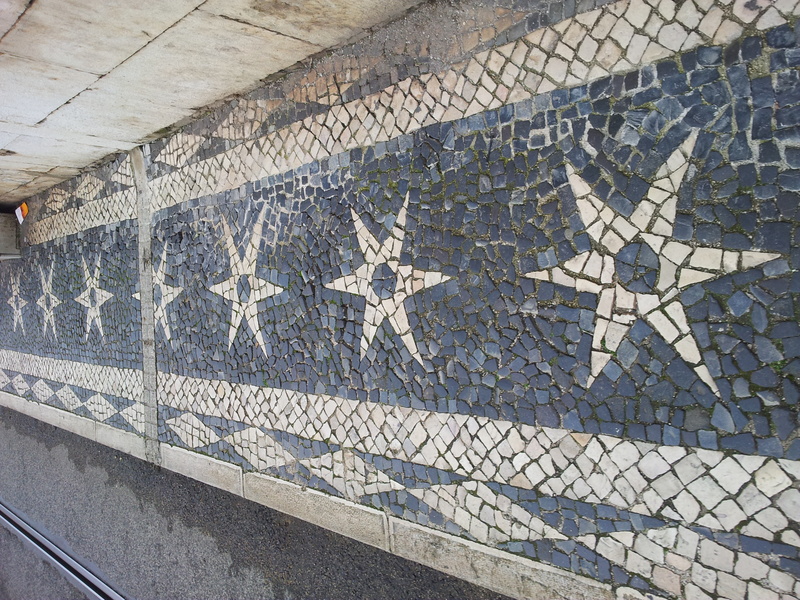 What I like about Lisbon is that they make the world a better place just by adding high quality details into daily life. 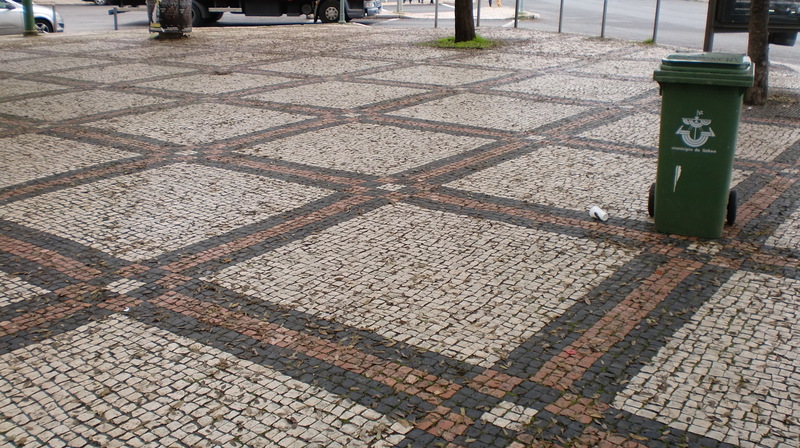 I don’t know where you live, but I guess the pavement in your city or village is just an ordinary thing; a bunch of stones, maybe low, maybe high quality stone but nevertheless: just stones. 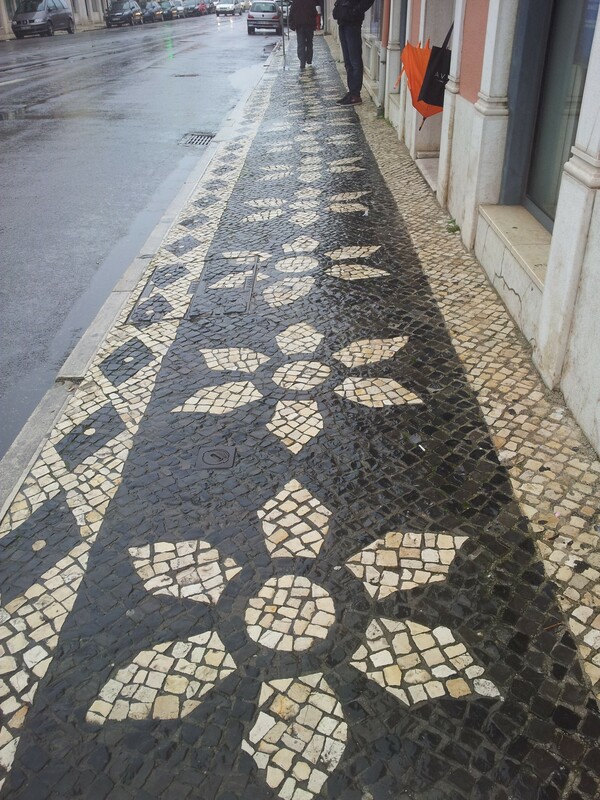 It does not really add to the quality of your life.Lisbon is different. 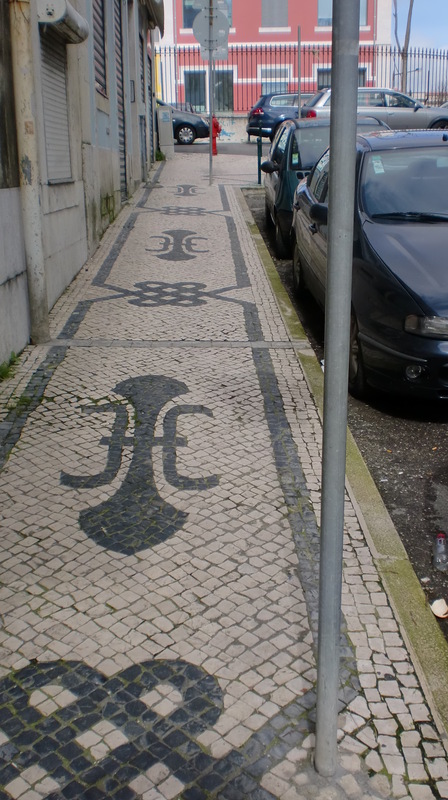 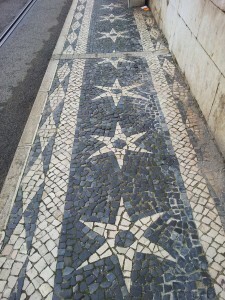 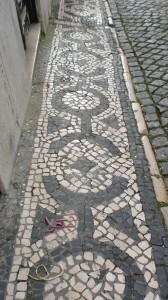 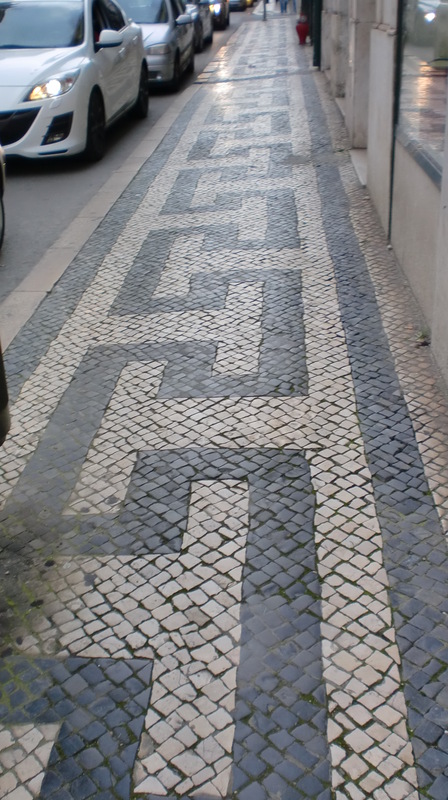 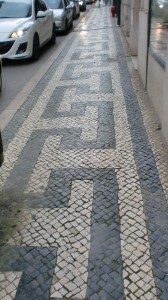 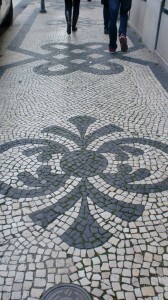 The Portuguese understand that quality of life is experienced precisely through daily details like the pavement we walk on. Look at the pictures: aren’t they adorable? It is a joy to walk there! 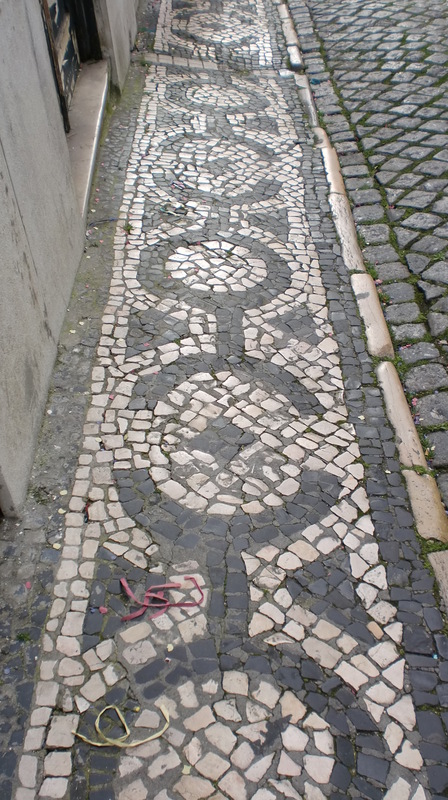 And it is clear that these pavements were made by craftsmen who really enjoyed to deliver a piece of art to the many customers they would have after finishing their job; thousands of passengers feel better just by trotting on the paths they laid. 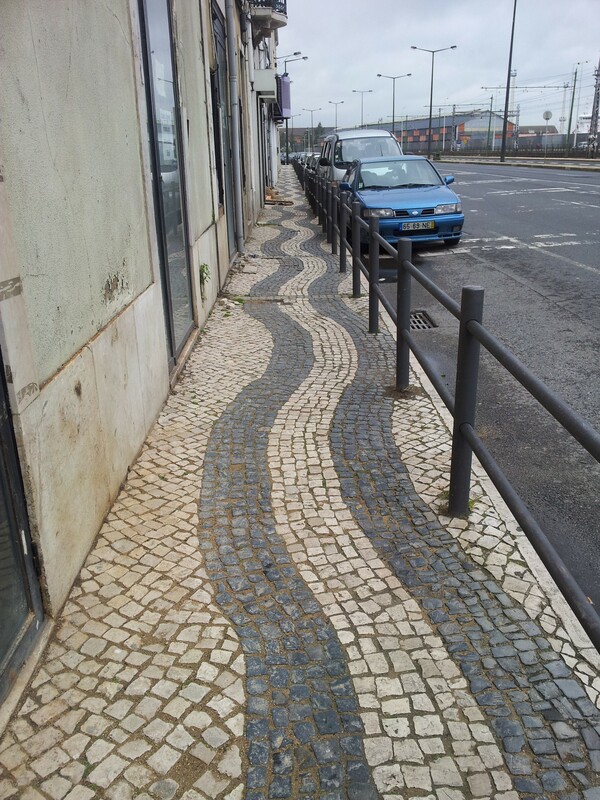 Thanks to all to visionaries to improve daily life!